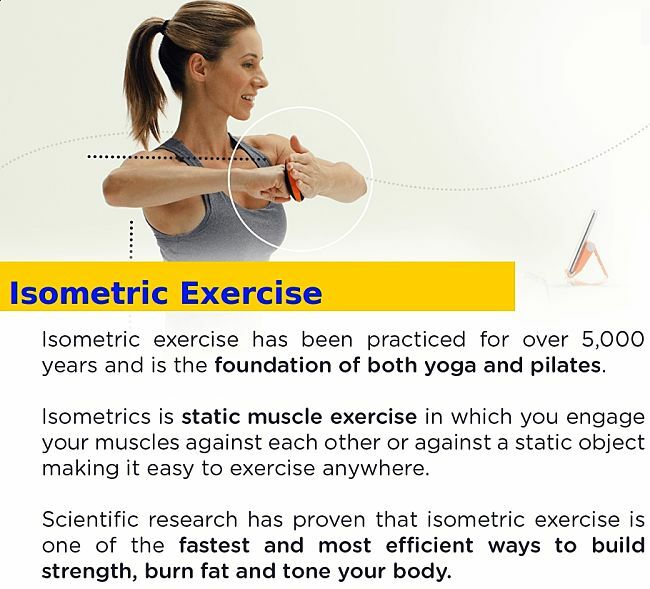 Isometric exercise (or isometrics for short) is a unique type of strength training without movements. Neither the angle of the joints nor the muscle length change during contraction. 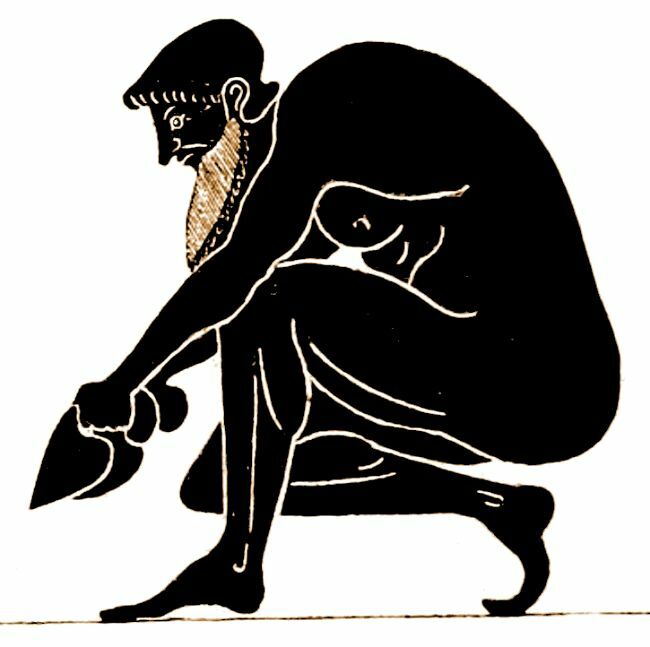 It is pushing or pulling against immovable objects. It can also be flexing muscles again each other without moving. 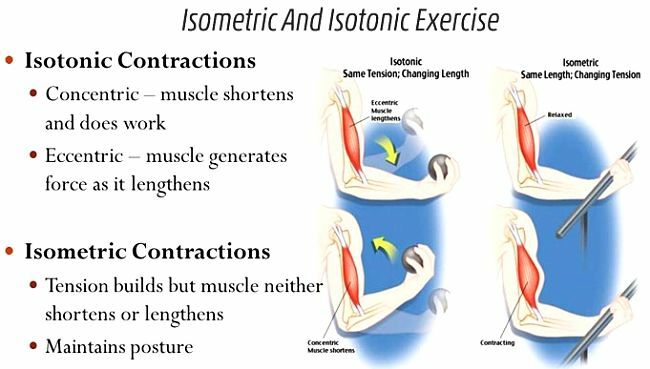 Isometrics is the forgotten type of exercise. Being static, and requiring no movement it is ideally suited to exercising in the home or office when sitting down. Essentially, it requires no equipment and is second only to resistance band training in needing minimal equipment and being suitable for doing anywhere and any time. 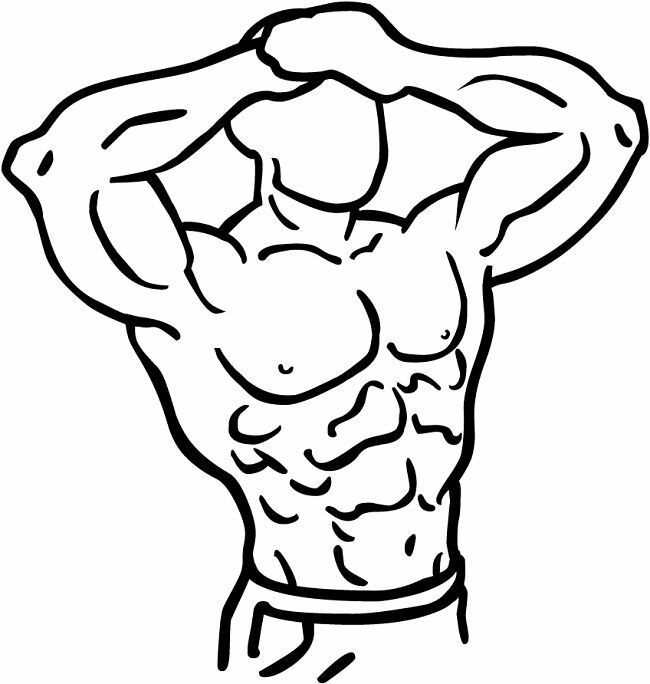 Calisthenics is the other forgotten exercise method that requires no equipment. However, for isometric exercises, there are a few pieces of equipment that can help monitor the work being done, and to make it a little easier to maintain pressure and muscle loads. These tools range from high-tech to very low-tech and homemade devices. You can add fixed handles and chains to walls and frames, but these homemade aids are not covered here. The focus is on pressure monitoring tools. 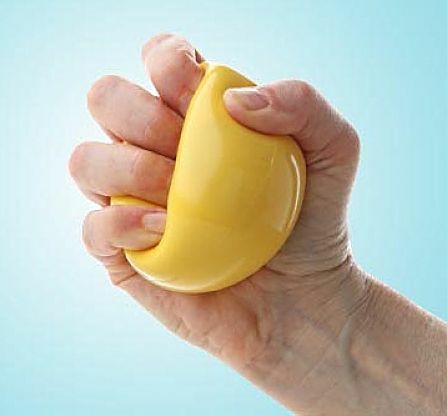 ► Using a hand exercise ball -These rubber balls are designed to exercise your hands to reduce the risk of repetitive strain injuries cause by typing or using a mouse device. The softer ones can be used to monitor pressure. Simply depress the ball by a fixed amount and maintain the deformation for a fixed time. The ball can be placed between your palms when you are pushing your arms together. A ball can also be placed between your knees when exercising the legs, or between your hand and the underside of the desk when lifting up with your arms (you could use two balls to balance each side). This is a cheap but effective way that is highly portable. ► Tao is a the hand held device, that has just been released by the company Tao Wellness. This highly sophisticated device consists of a hand held pressure monitor, which is linked with an iOS and Adroid app. 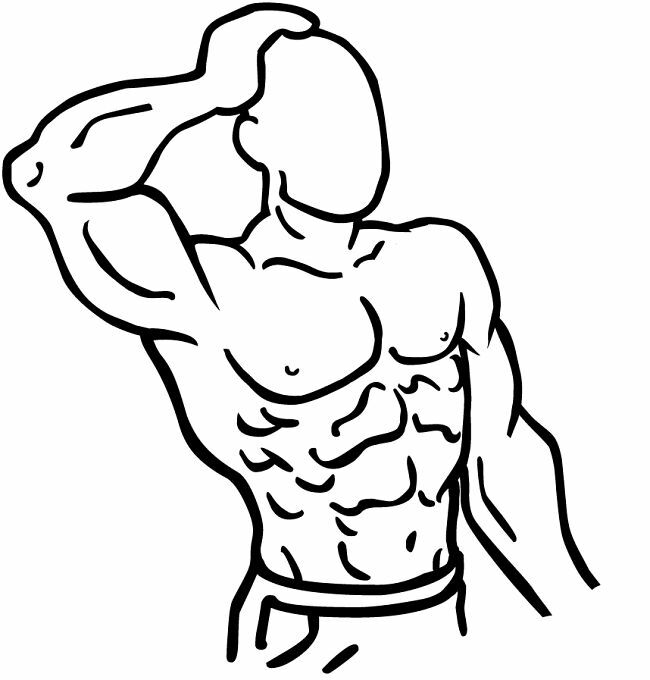 Advice for over 50 isometric exercises are loaded into the app software. The portable device, which resembles a flattened mouse, can be placed in your hands, or between your knees. The device has pressure sensors that link to the mobile app via bluetooth. The device tell you when your effort is waning and monitors how long you have maintained the pressure. The software has built-in times for each rep and the number of repeats required for each exercise. 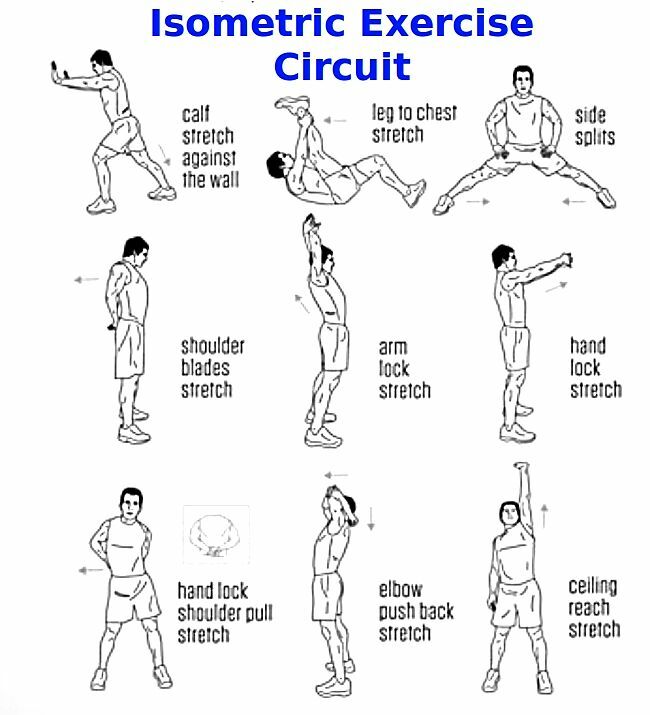 Typically, each exercise requires several repeats or reps lasting about 20 seconds. Usually there is a 6-second rest period between each rep. The device monitors your progress and uses the pressure and time to log the exercise and estimate calories burned. There is also a built-in heart monitor and the device can count steps for other exercise routines. 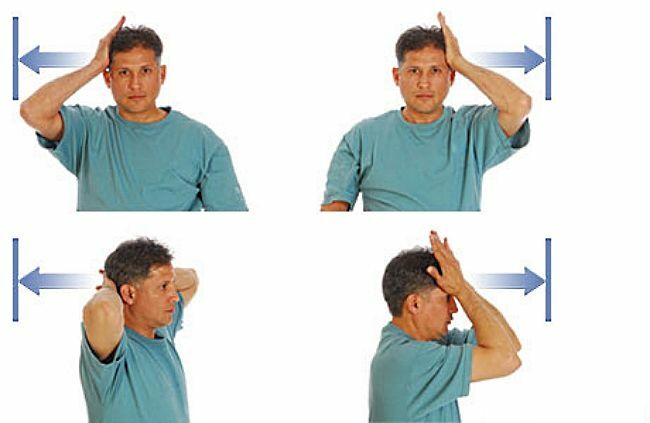 This can be done with arms raised in front of you to chest level, or with arms in your lap and hands held in a praying position (fingers facing up). Push the hands against each other, and push hard. Maintain the pressure for a count of 10-20 seconds. 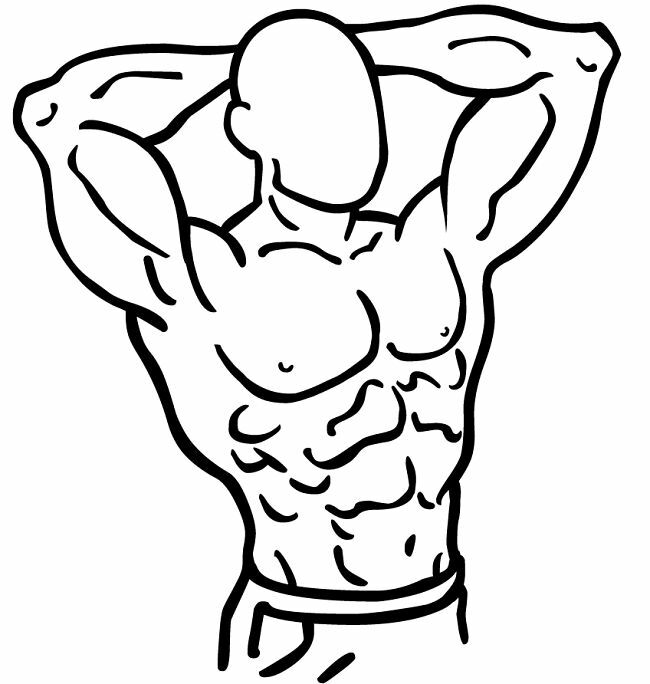 Do two to three, sets with hands at shoulder level and again at waist level for best results. This exercise is done while standing next to your desk, maybe while looking into the top desk of a filing cabinet if you want others not to query what you are doing. All you so is to stand up and raise yourself up on your toes, extending your calves. Hold the elevated position for least 15 to 20 seconds and repeat three times. This can also be done while waiting for an elevator or while riding the elevator. This can be done each time you get up from your chair and sit back down. Start from a standing position. While keeping the back straight, lower your body down to almost sit down, but not quite. Hold for 10-20 seconds and then straight up again. Do several repeats each time you get up and return to your chair. This can be done at your own desk or during boring meetings. First place your hands, palm side up against the bottom of the desk. Try to lift the desk, maintaining the pressure for 15-30 seconds. Repeat with hands on top of the table and pushing down. Go to a space room or somewhere away from your colleagues gaze. Stand facing the wall with your feet flat on the ground about a shoulder-width apart. Step back from the wall a little (no more than 5 feet or 1.5 m). Place your palms on the wall, directly opposite your shoulders. Push strongly trying to push the wall over. You can also move in and out doing push-ups.